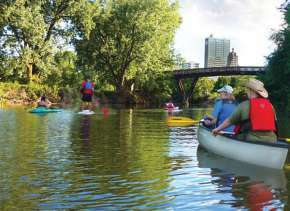 Fort Wayne’s three rivers: the St. Marys, the St. Joseph, and the Maumee, are a great source of entertainment, exploration, and fun in downtown Fort Wayne, Indiana. 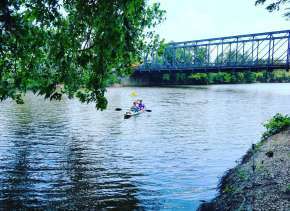 From adventuring the trails along the river, to getting out on the water, there are plenty of opportunities for you to experience Fort Wayne’s riverfront. 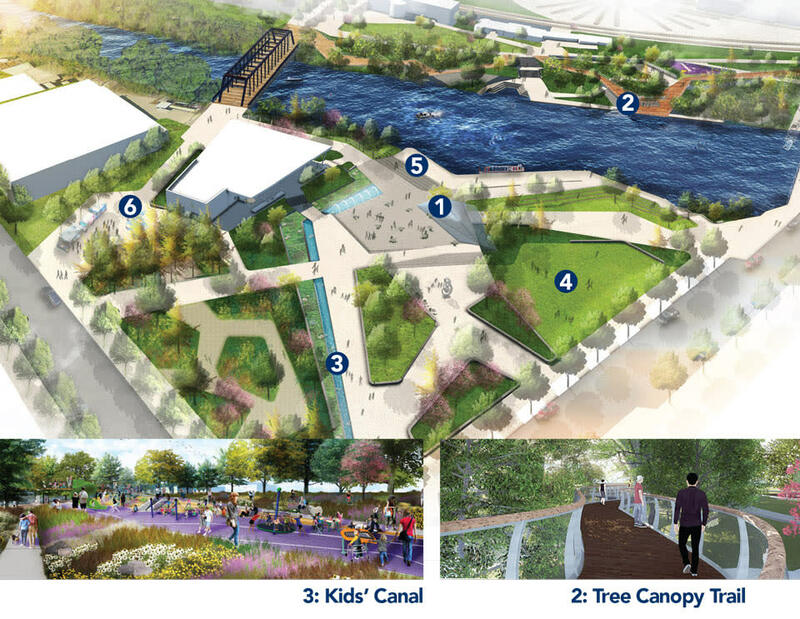 Promenade Park is the new “front door” to Fort Wayne’s rivers - scheduled to open on June 21, 2019. The park will feature new river access points, dining, a fully accessible park and playground, a Tree Canopy Trail, and more. Opening celebrations will include three days of themed hands-on activities, family-friendly fun, performances, celebrations, displays and more. Promenade Park officially opens to the public at 5:30 PM on Friday, June 20. This evening will feature the ribbon cutting, performances, a floating stage with an engaging national performer, fire dances, a Summer Solstice river lighting, sparkling cider toast, and more. Opening night is your opportunity to experience all that Promenade Park has to offer. Saturday will feature recreational opportunities of all kinds. 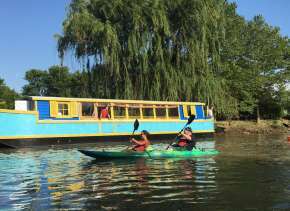 Learn how to kayak, canoe, propel a dragon boat, and fish on the rivers. Plus, there will be free boat tours and a boat flotilla. Sunday will feature eco-friendly hands-on activities for families interested in science and nature including workshops, Citizen Science programs and activities, stargazing, nature tours and a live butterfly release. Promenade Park is located along the North and South Banks of the St. Marys River, between Harrison St. and the Old Wells Street along Superior. Parking for the Promenade Park Opening Celebration will be available with on-street parking, the Plaza garage, and Freimann Square. 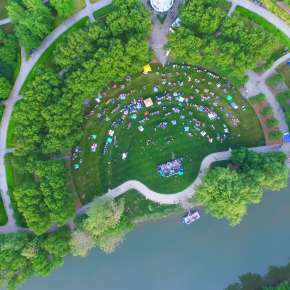 Join Fort Wayne for this one-of-a-kind river celebration! *Schedules will be added when available for the Grand Opening. Promenade Park, the first phase of Fort Wayne’s transformational Riverfront Fort Wayne project, offers a unique location to help further connect Fort Wayne’s rivers to downtown amenities including dining, shopping, attractions, events, and activities. 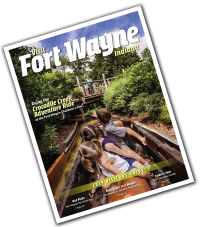 Plus, the Promenade Park developments only enhance Fort Wayne’s current riverfront offerings including our arts and cultural experiences at Science Central, The Old Fort, and the existing outdoor recreation opportunities including kayaking, boat rides, bike trails, events and more. 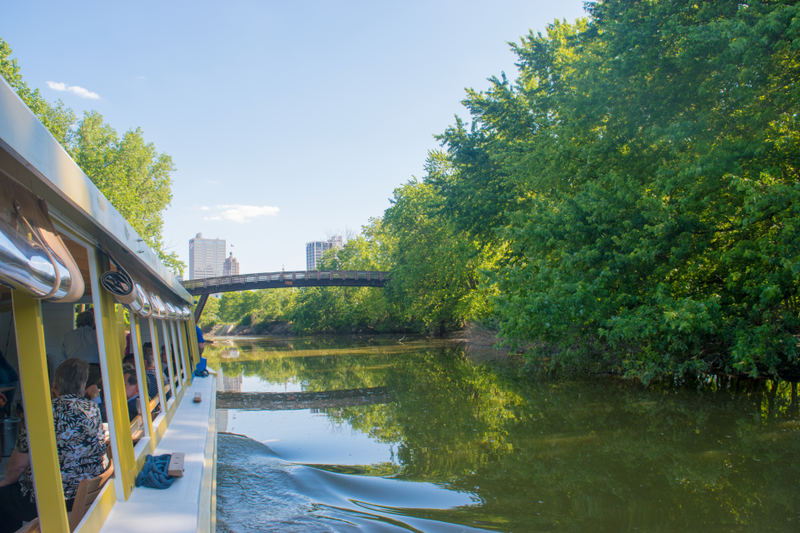 We can’t wait for you to experience Fort Wayne - from our rivers! 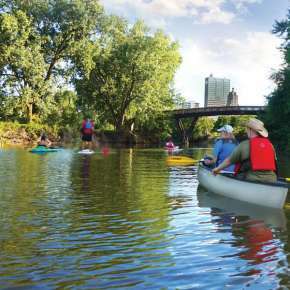 In Downtown Fort Wayne, our rivers offer natural experiences in urban settings. 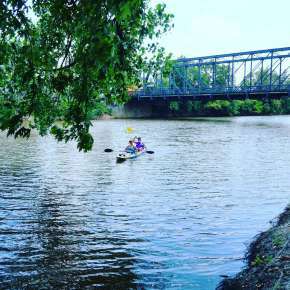 And as they travel away from the city, our rivers provide paddlers with amazing opportunities to explore Indiana’s waterways and countryside. Rent a watercraft and explore these water trails by kayak and canoe. As Promenade Park is just the first phase of Riverfront development, stay tuned for future private developments that include residential and multi-use buildings, and public developments.